Microfibers, pieces of plastic debris around the size of a sesame seed, are polluting our planet’s waterways. Synthetic fabrics used in our clothing including polyester and fleece are major contributors to the growing problem of microfiber pollution. When we wash these fabrics they shed tiny pieces of plastic into the waste water. Due to their small size, a fair amount of microfibers slide past the filtration systems and enter our waterways. The end result is extensive plastic pollution which pollutes our waterways and places marine life at risk. 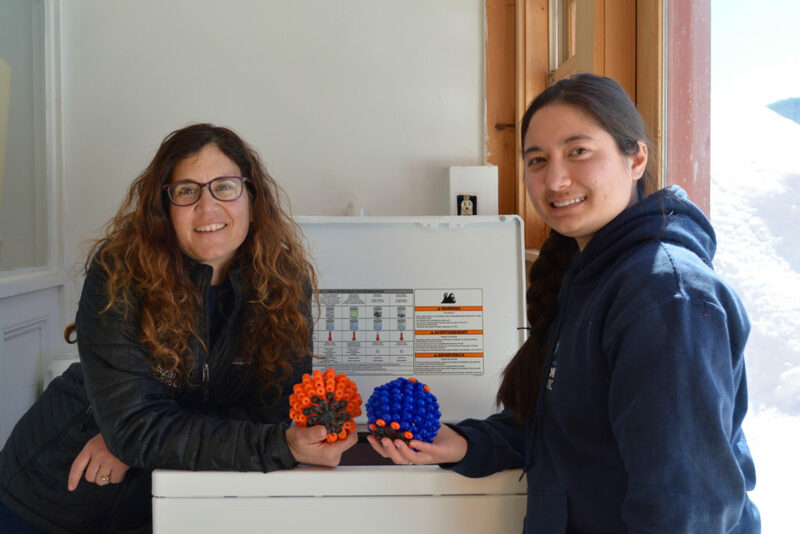 A new innovative product is in production to help stop the harmful microfibers from entering our public waterways after every load of laundry. 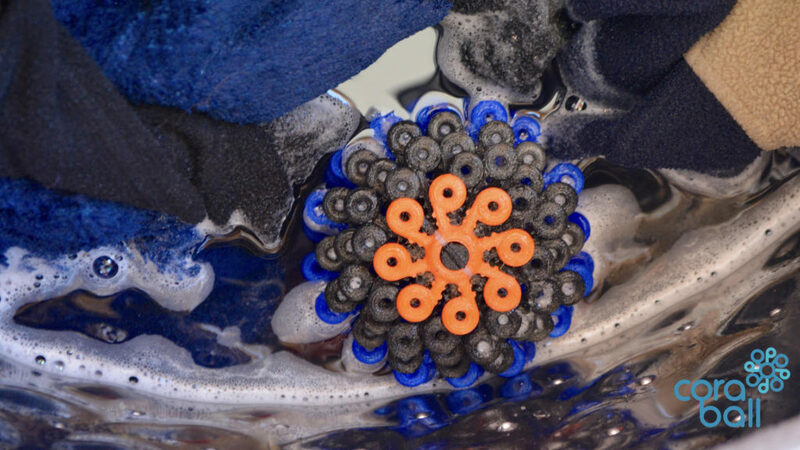 The Rozalia Project, dedicated to protecting and cleaning the ocean, developed the Cora Ball to gather the harmful microfibers that wash into public waterways. I had an opportunity to catch up with the founder of The Rozalia Project and the creator of the Cora Ball, Rachael Z. Miller, to ask her a few questions about this groundbreaking new product. A Cora Ball is the first microfiber-catching laundry ball designed to collect microfibers (and hair) in your wash and help keep them from washing into our public waterways. What inspired you to create a Cora Ball? We are an ocean nonprofit working on the problem of marine debris – both macro and micro. When we learned that our clothing and home textiles are breaking up and flowing into our public waterways, we decided right away to use our experience and expertise to come up with a solution. The Cora Ball is an evolution from that realization and commitment. Briefly, describe how a Cora Ball works. You just drop it in your washing machine, any washing machine, and it swooshes around with the clothes. As that happens, little pieces of fiber get caught on the Cora Ball’s stalks. Eventually there are enough tiny pieces to make a bigger ball of fuzz that you can remove just like you would clean a hairbrush – just pull it out. Its shape and function are inspired by coral! What is it made from and how much does it cost? It is made from 100% recycled soft plastic that is meant to last for thousands of washes, but it is also recyclable. We are still working on final production details, but it looks like the price will be $22 for a single and around $60-62 for a triple pack. How will use of a Cora Ball impact our waterways? We estimate that if 10% of US households use a Cora Ball, we can prevent the plastic equivalent of 30 million water bottles from entering our oceans, lakes and rivers every year. Have you met your initial funding goals and where do you plan to go from here with the Cora Ball? Yes, thanks to excellent partners, Schmidt Marine Technology Partners and over 8,500 amazing backers through Kickstarter, we are heading for production! We should be shipping Kickstarter rewards in July and make the Cora Ball available for direct purchase online and then soon after in stores across the US and the world in August and early fall. Stay tuned for the release of the Cora Ball in the fall.